A Mediterranean diet supplemented with olive oil or nuts is good for the ageing brain, say researchers. Their study of 447 volunteers with healthy brains builds on previous work that shows the benefits of the diet for cardiovascular health. They say they have strong evidence to suggest the antioxidant-rich diet, supplemented with extra olive oil and walnuts, has a moderate protective effect against cognitive decline and Alzheimer’s disease. In their trial, those allocated to the Mediterranean diet plus nuts showed significant improvements in memory compared with the control group. In the olive oil group, there was improved frontal function and global cognition, say the researchers. “The beneficial effect of Mediterranean diets on cognition probably stems from the abundance of antioxidants and anti-inflammatory agents that they provide,” the researchers write in JAMA Internal Medicine. 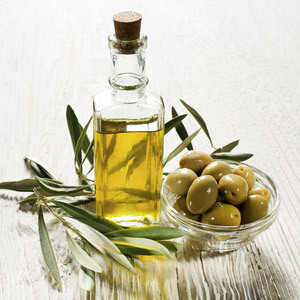 “The supplemental foods, extra virgin olive oil and nuts, are particularly rich in phenolic compounds that might counteract oxidative processes in the brain, which lead to neurodegeneration." The researchers also point to a consistent body of evidence that suggests the Mediterranean diet promotes brain health through vascular improvement. They say adding nuts or olive oil further reduces the risk of stroke and has a beneficial effect on blood pressure and diabetes risk. Valls-Pedret C, Sala-Vila A, Serra-Mir M, et al. Mediterranean Diet and Age-Related Cognitive Decline: A Randomized Clinical Trial. JAMA Intern Med. Published online May 11, 2015.